You’ve set a goal to “get back in shape,” “go to the gym more often,” or “start living more healthfully.” And for the first two weeks, you’re surpassing each benchmark. You’re working out almost every day, and your diet hasn’t “slipped” once. But then, all of a sudden, things get a little harder. Waking up for that 5:00 a.m. gym class doesn’t come quite so easily. And walking by the donuts in the break room takes considerably more effort than it had last week. What gives? Why is everything so difficult all of a sudden? When we tackle a new goal – health-related or otherwise – we often begin on a natural high. We’re excited by the novelty of something different. And we’re motivated by the promise of positive change. After those first few weeks, however, that natural high starts to wane, and we’re left to rely on sheer willpower. At times, the task seems nearly insurmountable, and we wonder if it’s even possible. Why is this!? Simply put, it’s because you haven’t turned these behaviors into habits yet. I’ve been reading Gretchen Rubin’s book “Better Than Before,” which is all about habit change. And she made an observation toward the beginning of the study that really opened my eyes. Essentially, she explained that habits are easy. They take very little willpower or energy on our part because they’re naturally ingrained into our daily lives. In fact, the real challenge when it comes to habits and habit change is not maintaining a habit, but rather establishing that habit in the first place. Just think about it. Does it take considerable willpower for you to brush your teeth in the morning or put on a seatbelt when you get in the car? Of course not. Because the habit is ingrained. Think about a professional musician. Do they have an internal battle each day when they sit down to practice their instrument? Nope; it’s part of their daily routine. They’ve established a habit. When we want to adopt a new habit that tests our current lifestyle, however, this is when the real challenge comes in. This is when you work the hardest, and it’s often when you push your willpower to its limits. Can you relate to this situation? I know I can! The good news is, while these goals may seem impossible right now, the more often we do them, the easier they get. And today I have some strategies to help you do just that. 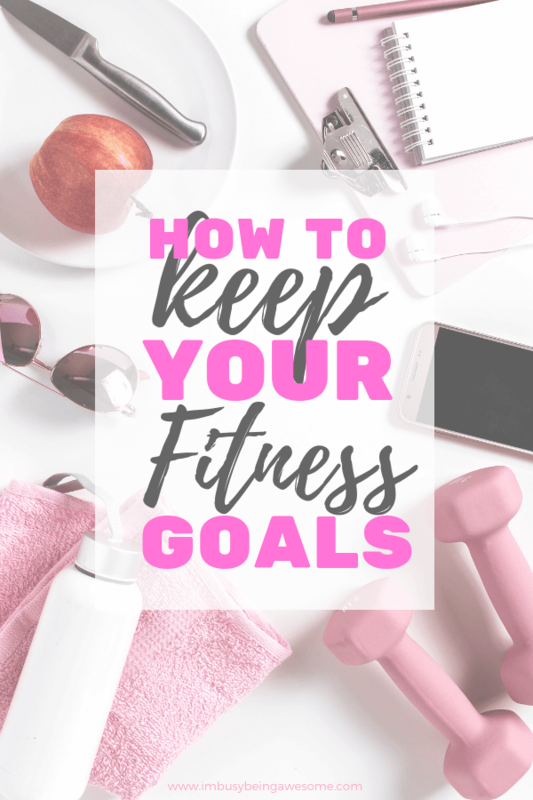 So read on and learn how you can stick with your fitness goals, push through the challenging weeks, and make healthy living a habit. Chances are, you’ve heard someone say something like this 100 times. Perhaps you’ve even said it yourself! I certainly have. While it’s great that you’re motivated to live more healthfully, the problem is that you’re not creating clear, measurable goals. And when you can’t track your progress, motivation quickly suffers. Do yourself a favor, and make that objective clear and precise. Set yourself up for success. I ran into this problem recently with yoga. The past few months I’ve really wanted to get into yoga, and I kept telling myself, “I need to go to yoga more often!” Not surprisingly, this thought was totally ineffective. I then tried to be a bit more specific by saying, “I need to go to yoga 2-3 times per week.” Unfortunately, even with that level of specificity, I wasn’t following through with my goal. Why? Because day after day would pass by and I’d say, “I’ll go tomorrow.” Then, “I’ll go the next day.” And, “I’ll go the day after that…” Before I knew it, a whole week had gone by and I hadn’t been to yoga once. So then I got super specific. I decided I would attend the 4:00 yoga class on Wednesday and Friday afternoon, and the 8:30 a.m. class on Sunday morning. Done. And guess what? I haven’t missed a day since. I put it in my planner, and it’s now part of my routine. Another major player in being able to stick with your fitness goals is having true motivation behind them. If you don’t know why you’re working toward your objectives, chances are, you won’t be as dedicated to seeing them through. And as you reflect on your motivation, it’s incredibly helpful if it’s internal. In other words, you need to want this goal. Let’s go back to my yoga practice for an example. As I mentioned in an earlier post, this year my New Year’s resolution is to find work-life balance. And a portion of this resolution is to discover my inner calm within the chaos of the everyday. You see, I’ve been dealing with considerable anxiety over the past several years, so this objective is incredibly important to me. In fact, its meaning goes beyond the category of wanting this goal and is now in the realm of needing it. So as you consider your fitness goals, take some time to ask yourself: why is this goal important to me? Once you’ve established your specific goal, and you’ve discovered the meaning behind it, it’s now time to break down your goal into manageable steps. By doing so, you change what can feel like an overwhelming task into concrete, manageable objectives. What’s more, you have an easier time tracking your progress along the way. Let’s say your fitness goal is to lose 30 lbs. with diet and exercise. This is a fantastic goal, but it is also quite challenging. And if not approached correctly, it can be potentially overwhelming as well. By breaking down your goals into small, manageable, and measurable tasks, you are able to track your process much easier. What’s more, you’ll have an easier time seeing progress, because you’re not expecting the scale to magically drop 30 lbs overnight. While I mentioned above that it’s important to establish goals that are meaningful to you, having outside accountability is also a great motivator. And fortunately, there are many different ways to establish this accountability; find a workout buddy, hire a personal trainer, join a group, make some friends at the gym, etc. Sometimes simply having someone expecting us to show up is all the motivation we need. For example, my gym classes begin at 5:15 a.m. And I’m not going to lie… When my alarm goes off at 4:30, I don’t spring out of bed every time. With that being said, I nevertheless get up, throw on my gym clothes, and trek to the gym without fail. Have I been tempted to skip? Yep! So why don’t I? Accountability. You see, I have a thoughtful friend at the gym who always gets to class a little bit earlier I do. She knows I tend to arrive at the very last minute, so she sets up my equipment for me. Because I know she’s expecting me, and I know the effort she puts into setting up my weights, I’m going to be there. Period. So think outside the box. How can you find an accountability partner who helps you stick to your fitness goals? I think you’ll be amazed at how much it helps. Looking for some extra accountability? Be sure to join the I’m Busy Being Awesome Facebook group here! You might have noticed that I mentioned tracking a few times in this post already. That’s because tracking is one of my favorite ways to stick to my goals. Perhaps it’s the type-A personality in me, but my motivation soars when I can check off a box, record my stats, and visually see my progress unfold. And the best part is, you can track almost anything! So whether you’re focused on sessions at the gym, weight loss goals, or eating habits, you can boost your motivation through tracking. 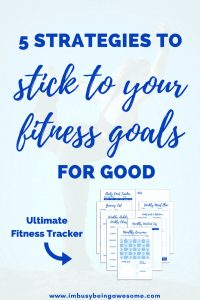 In fact, because I’ve seen the positive effects of tracking on many different people over the years, I decided to create the ultimate fitness tracker to help you reach your goals. 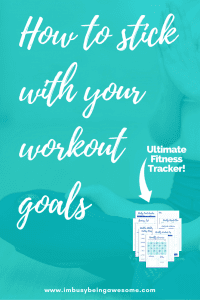 Not only does it track your gym attendance and log your workouts, but it also helps you plan your routines, track your daily habits, map out your weekly menu and shopping list, keep a food log, and reflect on your motivation and progress. I’ve created a PDF Digital download that fits directly into any 5.5×8.5 ring planner, as well as the disc-bound planner systems. And you can also order a physical copy in 1, 2, or 3-month sets, which I’ll mail directly to you! Hop over to my Etsy store to see all the tracker has to offer! 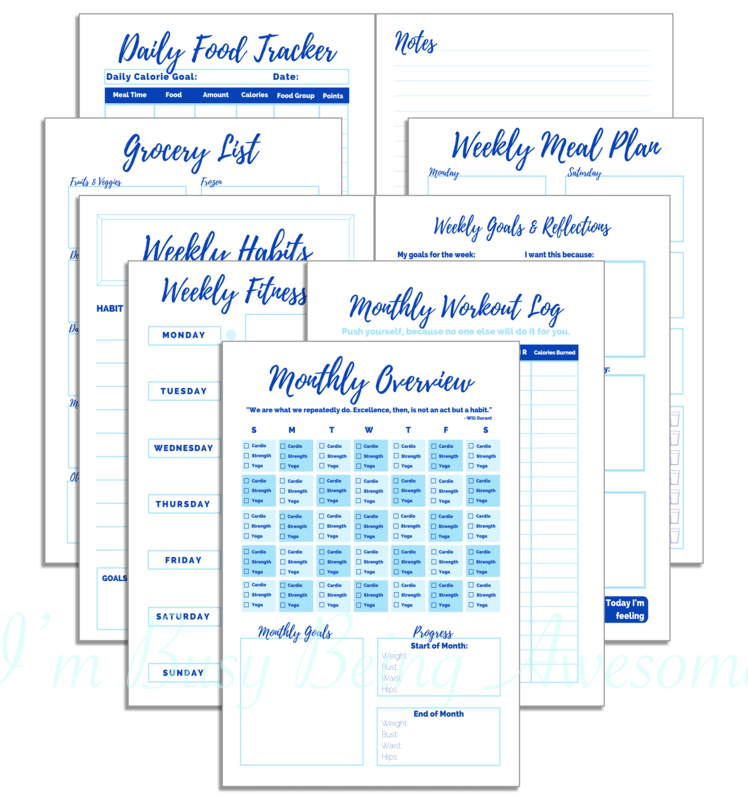 And what’s more, because you’re a fantastic Busy Awesome Reader, if you click here, you’ll get a FREE 8.5×11 download of the weekly motivator! 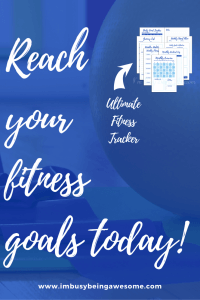 So grab your freebie, start tracking your progress, and stick with your fitness goals for good! What are Creativity Goals and How Can I Set Them? 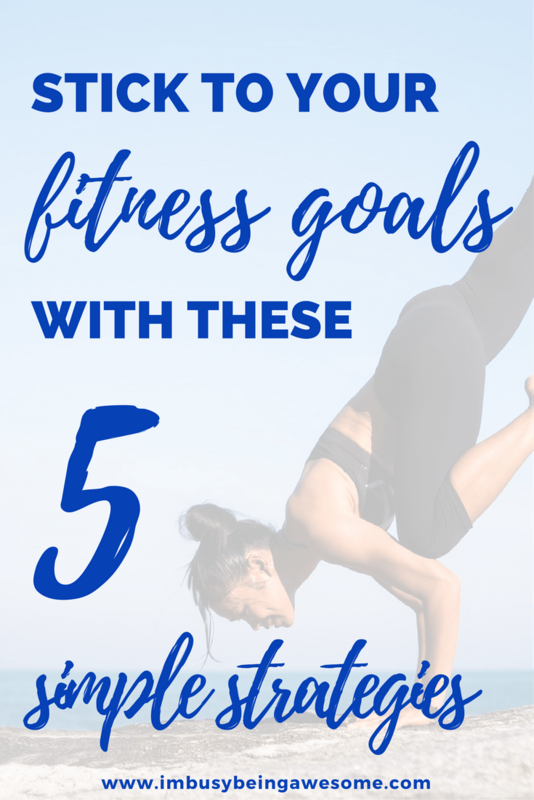 How do you stick with your fitness goals? Do you ever run into a motivation slump? How do you break through it? Have you ever tracked your goals before? Let me know below! This year my motto is “All Things New” which means incorporating new fruits and vegetables into our menu. I find when you are eating healthy you want to invest in exercise too. I loved your tips and accountability has always been key for me. Plus, it is always more fun to exercise with your spouse or a friend. Thank You Paula! This is a great breakdown! Accountability is totally key, I find having a buddy helps. I was working out every day and sticking to my plan up until Thanksgiving and I have totally blown all my progress! I am ready to get back on track! I definitely agree with you on these tips, especially making small, specific goals and tracking progress. 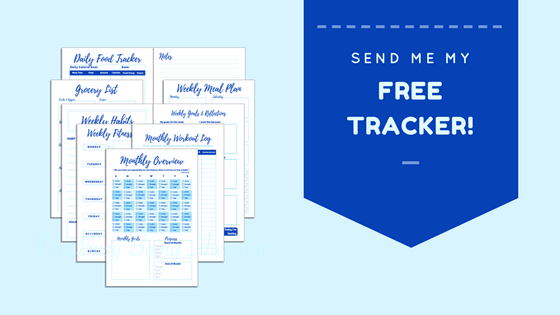 Your tracking sheets look awesome, too! Really establishing the habit is key – that way it is just a (fun!) routine and not so much a chore. 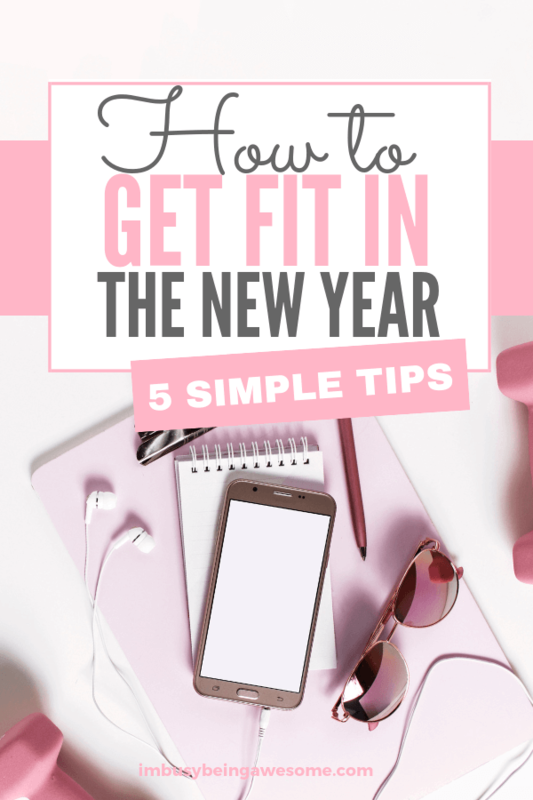 Loving your tips – perfect for the new year! This is so motivating! This is a perfect way to succeed on your fitness goals. Everyone who wants to get in shape should read this. I absolutely love this post. You have no idea how much I needed this! I just bought the audiobook version of the book you recommended and can’t wait to get started. Pinned and subscribing as well. Thanks! Hooray! I am so thrilled to hear this. Thank you, Tabbie 🙂 Let me know what you think of the book! This post came at just right point in my life. I used to train for races and was relatively fit. I have since become sedentary and just don’t feel good about myself overall. I will look into adding these 5 steps to get to my fitness goal – back into road races. Thank you! This is such a great idea! I just started running again today, so now I have a bigger plan to stick with it with this! Hooray! I’m so thrilled to hear it 🙂 And congrats on picking up running again! This is such a great post! I definitely need to start tracking my progress, as you suggested above. It’s often the “wrong time of the day” for me to weigh myself, or that I “run out of time” to record my measurements. This post was a great reminder for me to get over it and start seeing my progress and gaining motivation to stick with my plan in order to see those numbers go down. I really needed this post. I have a super hard time getting out of bed and going to the gym, but this makes me look at it differently. Thanks! Great advice! I’m trying to lose weight right now. At times, it gets hard to keep going. Thanks for the inspiration! I loved Gretchen Rubin’s book too! It was like a college course in habits and personalities related to habits. Your 5 tips here are helpful! I totally agree – what a perfect description of her work 🙂 And thanks! Oh my goodness – congratulations! I definitely need to be more specific with my goals! I have been putting exercise on the back burner for way too long! Goals are very important. I find that once I decide what i want to achieve and write it down, it’s much easier to follow because my mind is set on a particular course. It’s fantastic that you know what works best for you. And it so great that by internalizing your goals, you’re able to reach them! Good tips…especially writing fitness class specifically into weekly calendar. I’m going to try it! Do it! Let me know if it helps 🙂 I find that scheduling in the time helps prevent me from pushing it off for something else. Thanks for sharing this great motivational post and the PDFs! Bookmarking for re-reading and following along. I think your tips and strategies are also applicable in multiple areas of life, in addition to health and fitness. I can see using them in my life as a freelance educational professional, as well as in my other home business – AND in blogging! Yes!! Being specific with any goal is sososo important! Accountability goes a long way, too! Thanks for putting into words what I’ve been feeling as I start a fitness routine this past month! I think tracking and knowing the deeper meaning have been the two things to help me most, now that you draw it out like this!! Tracking has helped me see my progress so so much! Thank you for this. I will have to check out the printables! I’m so glad to hear this! I agree with you – internalizing my goals, understanding their importance, and tracking my progress is incredibly motivating 🙂 Good luck with this new routine! That accountability piece is so key for me! I always love having a buddy at class, because I am a million times more likely to go. But, I’ve also come to hold myself accountable because I want to set a good example for my kids. It is important to me that they see me exercising, setting and working toward goals, and being happy with progress, not perfection. Love your freebie, too! I absolutely LOVE that you are motivated to set a good example for your kids, and your message to be “happy with progress, not perfection” is so fantastic. What a great role model! My husband and I are trying to be more active and healthy – great post! 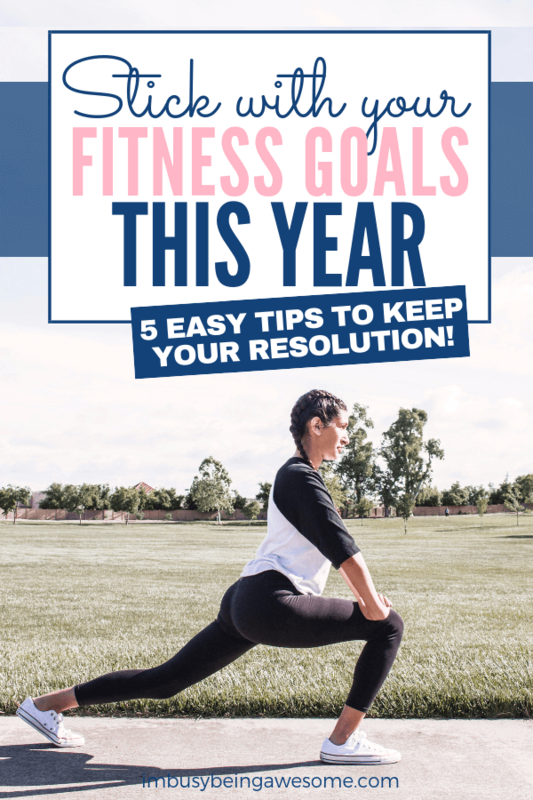 I especially love this:”Vague, unclear objectives are one of the biggest stumbling blocks people have when setting their fitness goals…” this is true of all goals and so important when setting on this New Years resolution journey. Thanks! I have a Personal Health Coach who has been motivating and has a wealth of knowledge of which I am thankful for. What you have said here resonates. Accountability is a biggie in my book. Plus seeing where you go – tracking. It’s so great that you have a wellness coach; what a great way to stay on track and have accountability! Yes! Love this. I’ve always been a big believer that you have to be specific with your goals. Yes! Specificity really makes a difference, doesn’t it? Great tips! Need this after the 1st of the year! Thanks, I hope they help! These tips are so good and so well balanced. I love it. I’ve got big fitness goals this year and will need to keep good focus. Thanks for this. Thank you so much for sharing, these are fantastic tips! You’re welcome. I hope they help! I love Better Than Before! Such a great book. It’s definitely difficult for me to make something into a habit. 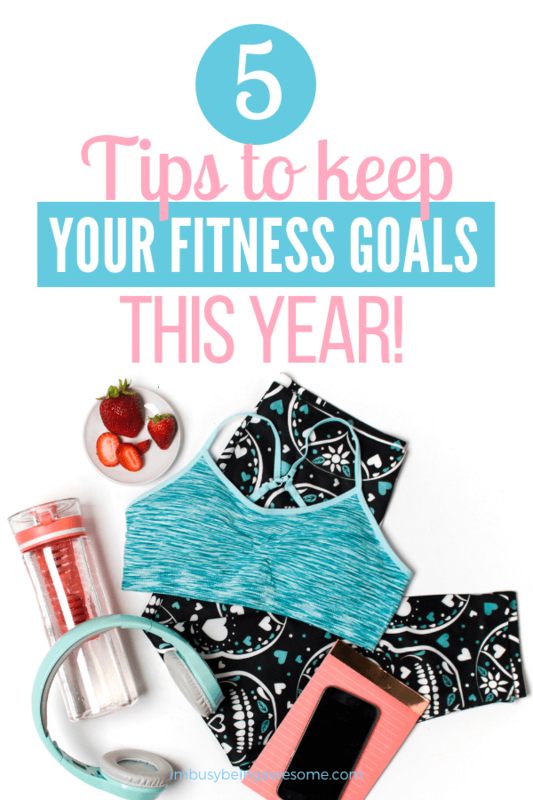 I do want to work on eating better and being more active this year, so I do have some goals related to that. I think I’m going to break things down into monthly goals on my blog – starting next month – and see how that helps me! 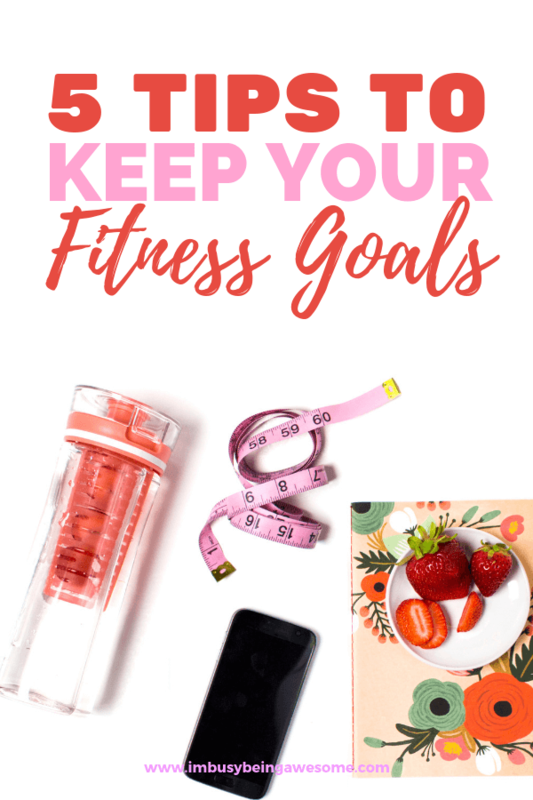 As a personal trainer and nutritionist, I absolutely love these tips for sticking to your fitness goals! So thorough and I’ll definitely have some clients sign up for your productivity sheets as well! Getting specific with goals and tracking is so important! Thanks for the reminders here. I definitely want to use this in many areas!! !